You can purchase the entire course for less than some professional critiques. Only $79.00. Plus, you get the bonus of deeply discounted critiques--only $49.00 instead of $79.00. Click here to pay for the course. Once payment is received, course materials will be emailed to the address associated with PayPal within two days. If you would like materials delivered to a different email, please indicate so in the notes section in PayPal. Or, you may Click on the following "E-mail me" link below to contact Alayne or order the ART OF ARC course. WHO MIGHT WANT TO TAKE THIS COURSE? Ten in-depth lessons. You'll receive all the lessons at one time in PDF and MS Word. This is a small sampling of the course content. All lessons are highly comprehensive. Each lesson includes homework assignments, worksheets, and extensive examples of each topic being discussed. WELCOME SECTION This introduction to the course includes an excellent eight-page supplement detailing sixteen different picture book structures. Each diagram and description includes a list of picture books to study for that particular structure. LESSON ONE: BEGINNINGS AND ENDINGS This lesson includes supplemental materials that demonstrate the components of strong beginnings and endings. As with all lessons, the material is highly comprehensive. LESSON TWO: BEYOND THE HOOK This lesson includes supplemental materials that demonstrate the components of strong beginning and endings. What is cause and effect and why is it important? LESSON FIVE: EPISODIC STORIES Includes methods for testing your story for episodic elements. ART OF ARC is one of the most comprehensive writing classes I've ever taken. It breaks down complex aspects of story structure in a clear manner that helped me to understand every element of picture books, from hook to satisfying ending. The worksheets helped me to dissect my stories and see what they were missing and how they needed to be rearranged, making the revision process a lot less painful. If you want to learn how to develop a great story arc with a hook, page-turners, tension, dark moment, climax, and satisfying ending - this class is for you! Alayne even includes links for writing resources. 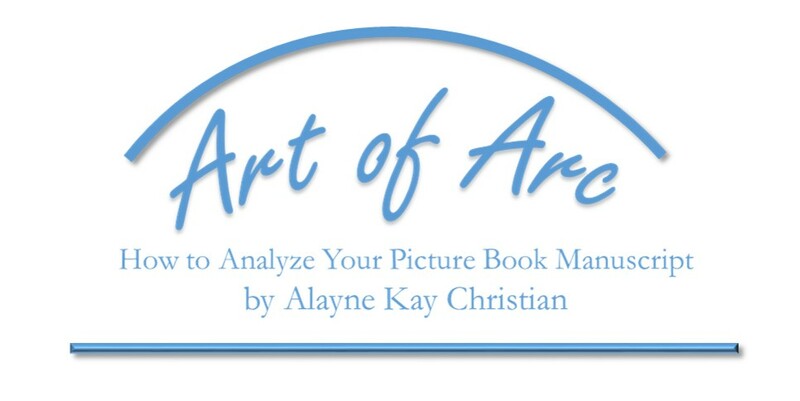 The Art of Arc course by Alayne Kay Christian will help you answer that question, what am I missing in my picture book manuscript? Alayne’s course is structured well, with solid examples. The exercises can be used to analyze your own manuscript, or take on additional published manuscripts and break them down so you can further gain an understanding of the classic arc of a picture book (as well as identify other picture book structures). The course lessons are the kind I can return and refer to over and over again! I appreciated how the worksheets made me take apart my own manuscripts so I have a better understanding of why some aspect isn’t working. I’m going to continue using the worksheets to guide my revisions. The Facebook group doing a monthly study of a picture book should help solidify what I’ve learned. Thank you, Alayne! Alayne’s Art of Arc self-paced course not only teaches a writer about story structure but explains the specific parts of a story, in depth, and the importance of why each must be related, relevant, and remain connected. What I learned through her examples and exercises are the specific ways to break down a story using task analysis. This process helps me determine if the reader is “imagining and feeling” the story I want to tell reflected through my writing. As a writer who starts as a pantser, Alayne provided the organization I needed to analyze my own writing. Art of the Arc teaches you to methodically analyze your manuscript or mentor text, and in doing so, pulls you back as the author to see your story through more objective eyes, able to evaluate it piece by piece. The course is well organized and contains a virtual plethora of resources. This course was so helpful in showing me the areas where my manuscripts were not moving and how to fix that. Studying picture books suggested in the course focused this for me. The great thing is now I’ll be able to use this as I’m writing and, I hope, cut down on revision time. I highly recommend this comprehensive course. Lesson one broke things down in a clear way that enhanced my understanding, and I had quite a few aha moments while reading. I also loved the examples! Lesson one – Really excellent material, Alayne. Not surprising after receiving a wonderful critique from you, but wow. Fresh. Straight forward. Thought provoking. Idea generating. WOW! Lesson one – I feel like you've explained things I've heard before in a way that is clicking better. Lesson four – The class is really helping me understand what is missing in my picture books (and what works). I struggled with a story last year, put it away and took it out this week to analyze what didn't work. Now I have some new ideas. I'm looking forward to studying how to keep things interesting in the middle of a PB. That's where my stories seem to fall apart. Lesson four – These lessons are excellent. Really clarifying things I’ve learned, but haven’t put into actual practice. Lesson 5-6 made me think about making sure that my story moves forward and I like contrasting my story with a published one. Lesson 6 made me take a look at one of my manuscripts in a drawer that really needs a WHY behind it. I've know that for a while, but this made me analyze it further. You have great examples in lesson 6 and I found that very, very helpful. Lesson seven – The way you broke down darkest moment into page sections, and inner climax, outer climax was fantastic. I LOVE this class Alayne. You’ve done a spectacular job with it. Lesson eight – You spoke about passive and active in a way I hadn’t heard it before. I love the explanation on when telling language might be appropriate, very eye opening. The lessons are very comprehensive and jam packed with useful information. Some people may be able to get through them by just reading them. But for more analytical, perfectionists (like myself), the lessons take a while to get through. Because of the wealth of information you provide (and my learning style) I’m finding it useful to take notes, make diagrams, and sift through my manuscripts, while reading the material, which adds a lot of time. Given my learning style, I would prefer one lesson per week to allow even more time to delve into the material because it is SO HELPFUL! You have a way of breaking this out into manageable bites of knowledge to help wrap my brain around. Well done. The lessons enhanced my ability to apply classic arc plot elements to my writing. After taking this course, I feel I have a better eye for story arcs, extraneous information that bogs stories down, lack of forward movement, how authors keep or do not keep tension in their books, etc. This has helped me as a member of my critique group. I also have a better understanding why I absolutely love certain books and why I’m unimpressed by others. The two lessons that I believe will have most impact on my writing are 6 and 9. Lesson 6 helped me tremendously in the area of writing the middle of picture books, keeping tension going, mini-story hooks etc. I loved how lesson 9 highlighted so many important aspects of writing fiction and nonfiction. I know I will use that in the future. The course clarified many concepts and provided a lot of aha moments! I LOVED IT! And I’m amazed how much information you packed into 10 lessons! I hope my feedback helped you as much as the class helped me! You’ve really done wonderfully with this class. Broken it up into manageable, easily comprehensible bites. It’s so easy to understand and follow. And very insightful! You did an excellent job of organizing and covering things. I am so impressed by your analytical mind! For information on how to purchase course click here. Or contact Alayne by clicking the email link above. You may pay for the course by clicking here. Once payment is received, course materials will be emailed to the address associated with PayPal within two days. If you would like materials delivered to a different email, please indicate so in the notes section in PayPal.